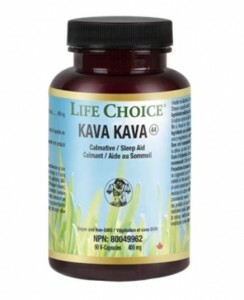 Finally the Kava Kava Capsules can be sold inside Canada! With the end of the draconian ban on kava products in Canada starting to see the light we can finally enjoy kava products! They can be purchased here. Since the 2002 Kava ban in Canada has now been relaxed slightly Canadians are starting to see some products that contain Kava Kava available right in Canada so now we can ship these products directly to Canadian consumers instead of being forced to have USA kava suppliers ship from out of the country. Hurray! Now more of us can enjoy the benefits of kava. Kava products sold within Canada must meet strict safety and labeling certifications to ensure quality control and traceability. For the last two years, Life Choice™ has attempted to legally bring their Kava Kava back onto the market. In March, Life Choice™ became the first Kava Kava product to receive a Natural Product Number—and therefore, a green light—from Health Canada. Witht heir brand of Kava Kava, Canadians can once again enjoy the relaxing benefits of Kava Kava supplementation, with no worries over legality or safety. The Kava Kava Capsules can be purchased here. The “Tranquility” Kava Kava Extract is also now available here.